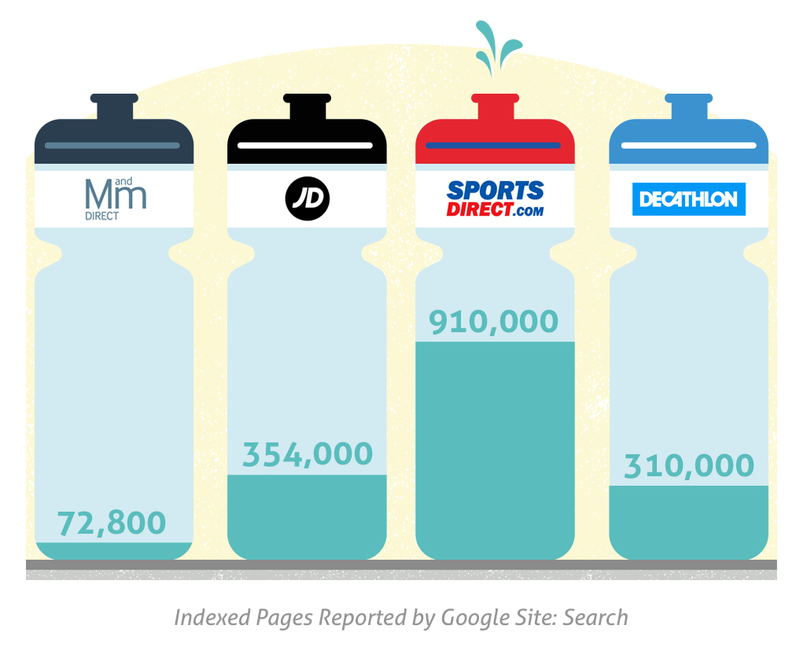 Sports Direct: A Case Study - Is Bad Press Bad For SEO? Since late last year, shares in Sports Direct – the UKs leading sports retailer – have plummeted. 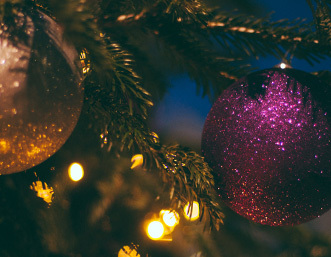 A series of media reports criticising the company’s treatment of warehouse staff in early December set the ball rolling, and a significant drop in sales over Christmas only compounded the situation. This has led to Sports Direct losing approximately half of its market value, being relegated from the FTSE 100, and to its founder Mike Ashley publicly admitting that the company is “in trouble“. The graph below of Sports Direct’s share price from the 30th of November 2015 to the 22nd of March 2016 visualises this continued downfall in fortunes. With an eye to these difficulties, we’ve reviewed the online sports retail landscape in the UK, comparing Sports Direct’s search performance to that of three key competitors – Decathlon, JD sports and MandMDirect – over the turbulent period since the company’s share price began to fall. 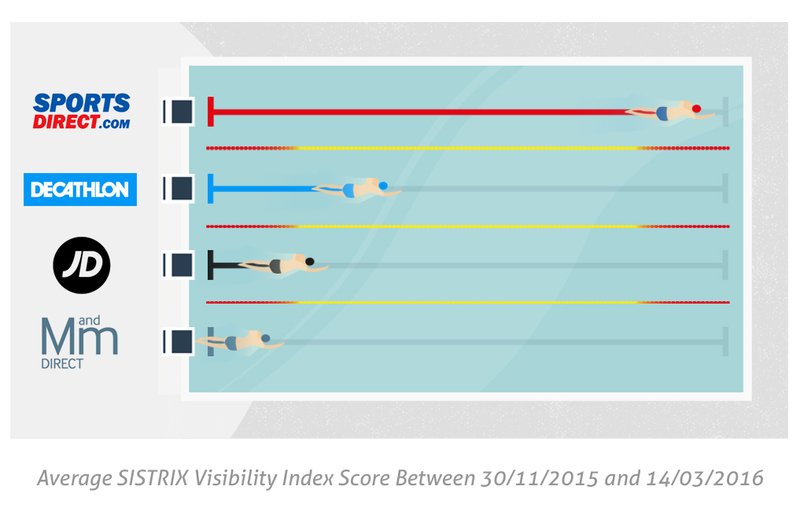 The first way in which we analysed the four sports brands was with SISTRIX, and more specifically using its Visibility Index. This gives an overview of a domain’s performance on Google by checking how it ranks across a large number of keywords, then assigns each a numerical score, which can be easily compared to that of other sites. By averaging the values given to each of these four sites over the period when Sports Direct have been struggling financially, we were able to view a “big picture” of the landscape as a whole. The first thing to note here is that Sports Direct is by far the highest performing of the four companies by this metric. Their site has retained a higher Visibility Index score than the three competitors combined throughout their difficult spell, with Decathlon (the closest competitor by this measurement) averaging only 35% Sports Direct’s score. The data analysed also showed that, whilst Sports Direct’s visibility has decreased by 0.48% over this period, this is less than that which Decathlon (3.16%) and JD Sports (1.25%) have fallen. All four companies retained a fairly stable visibility score throughout the analysed time-frame. Our second point of reference was Google Trends. 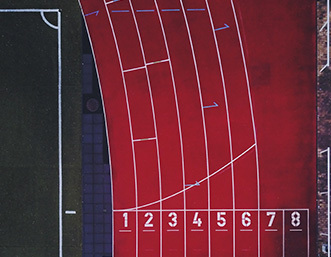 This allowed us to compare the overall queries carried out in the UK around each selected sports brand, as well as to observe any fluctuations as Sports Direct’s financial performance faltered. 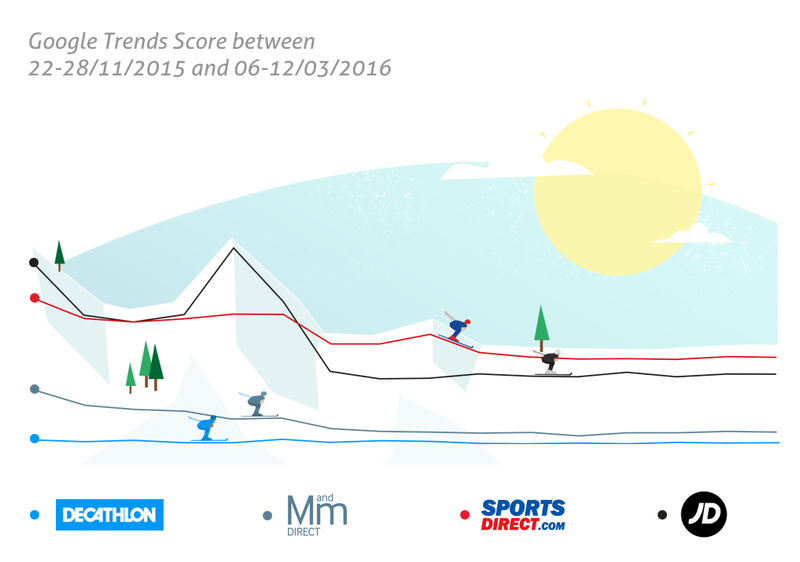 From this, we found once again that Sports Direct were the highest performing of the 4 online sports retailers. 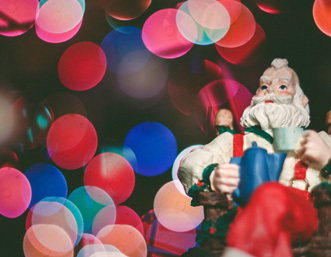 Whilst across late November and December, JD Sports scored higher by this metric, Sports Direct averaged a significantly higher rating, with their performance relatively stable throughout the analysed period. Next, to estimate the amount of searches being carried out for each brand, we used Google Keyword Planner. By combining each company’s 5 most searched branded terms, we were able to approximate how many customers were searching for them specifically in comparison to their competitors. The size of each ball below represents the search volumes which each company achieved through this measurement. From here, it’s clear again that Sports Direct are searched for significantly more than their main counterparts here in the UK. 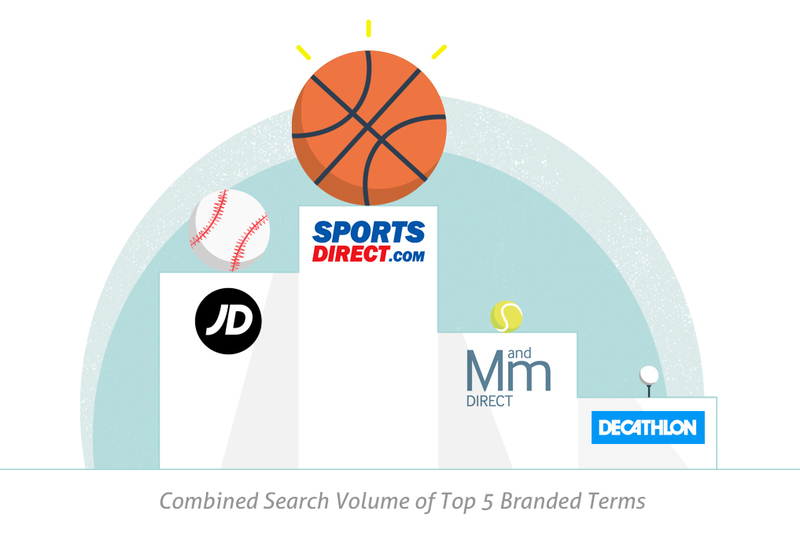 Echoing the results found in Google Trends, JD Sports are the company coming closest to Sports Direct’s share, with MandM Direct following and Decathlon bringing up the rear. To give us an idea of the size of each analysed website, we also reviewed the number of pages they had indexed by Google using a “site:” advanced search. Whilst these searches are rarely exactly correct, they do provide a good estimate of the pages available in Google’s search results from each analysed site. Once again, Sports Direct proved the largest of the four reviewed sites. JD Sports came in second by this metric, closely followed by Decathlon, with MandM Direct having the lowest number of reported pages. From this benchmarking, it’s clear that despite the turbulence of the last few months, Sports Direct have retained their position as the top performing UK online sports retailer in terms of search presence. Whether the controversy surrounding the company could have longer-term effects on search performance is yet to be seen, but from what can be gauged from online visibility and queries, there is little to suggest that the sports retail behemoth has taken a significant search hit over recent months.